At Kanreikai Joliette, we have been teaching and promoting the practice of combat sports such as kickboxing and mixed martial arts for several years. WE also offer Boxing classes for children and adults. Our certified instructors ensure the progress and wellbeing of their students who are more and more numerous. All the family can take advantage of our kickboxing and boxing classes and improve flexibility, power, and cardiovascular fitness. 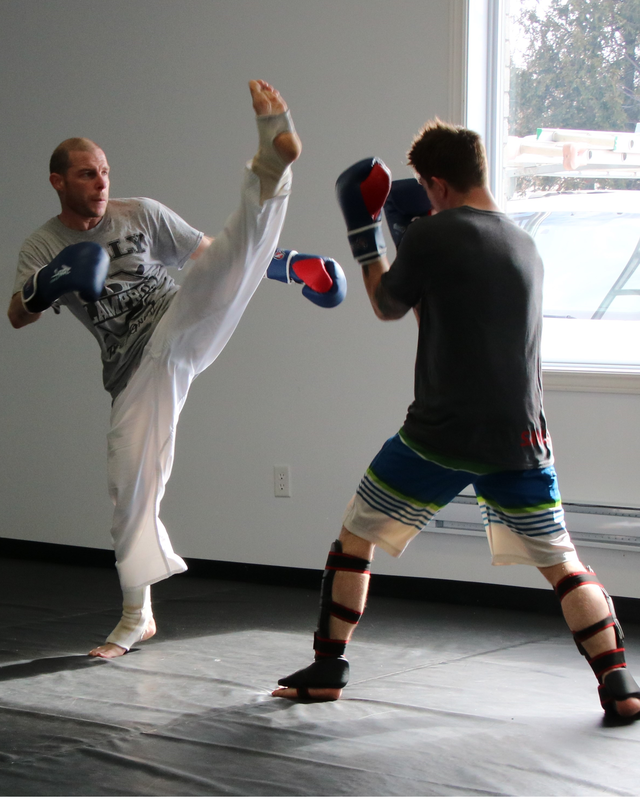 On the other hand, our Mixed Martial Arts trainings are designed for seasoned multidisciplinary athletes. Kickboxing students improve their cardiovascular capacity and flexibility as they perfect their kicking and punching techniques. No matter their age, all gain in coordination and power. Our Boxing classes favour a complete fitness workout and the learning of a combat sport that is now adapted to all ages. During Mixed Martial Arts classes, anos cours d’arts martiaux mixtes, our athletes put themselves to test and train to fight using karate, grappling. boxing and kickboxing techniques. Our instructors teach them to mix these disciplines and prepare them physically and mentally. AND GO BEYOND YOUR LIMITS! 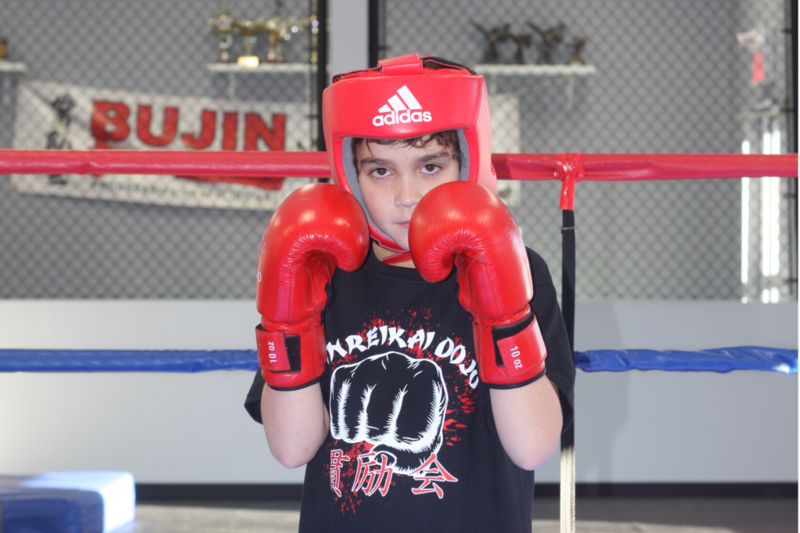 At Kanreikai Joliette, we have put together a very popular Kickboxing program. We offer classes for adults (coed), women and parents and kids. Our Boxing program also includes classes for kids and adultes. This combat sport provides a complete fitness workout and attracts more and more followers. Mixed Martial Arts trainings are intensive. Our multidisciplinary athletes demonstrate motivation and determination at every session. Consult our Class Schedule and visit us. Take advantage of a Free Trial Class. We can’t wait to meet you at Kanreikai Joliette!